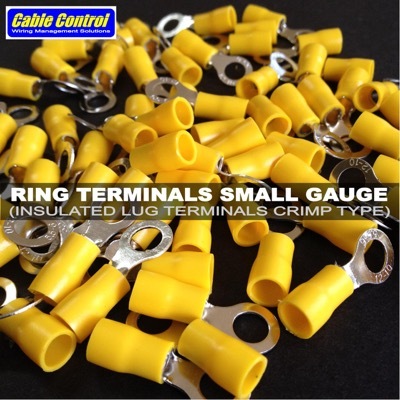 Cable Control's high quality crimp type insulated ring terminals. 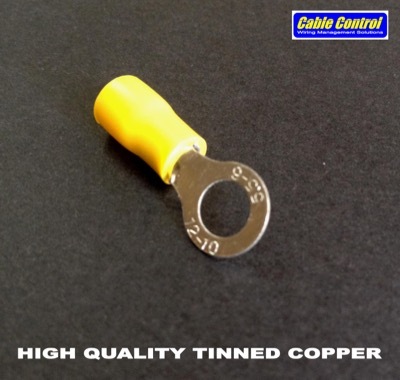 Perfect for smaller gauge wires and allow a secure connection. Professionalize your installs with Cable Control! 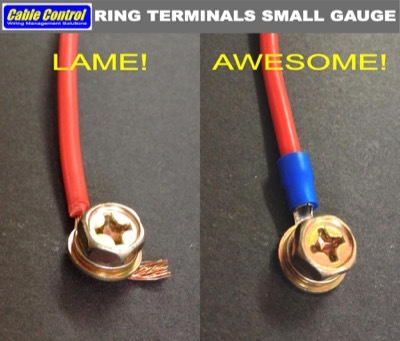 *Remember, negative ground leads should be treated with equal importance as the positive lead so do ground your installed devices properly and securely with ring terminals. Red-fits 22-18awg wire : PhP120.00/ pack of 50pcs. 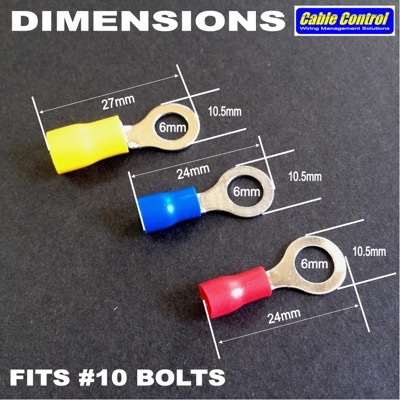 Blue-fits 16-14awg wire : PhP150.00/ pack of 50pcs. 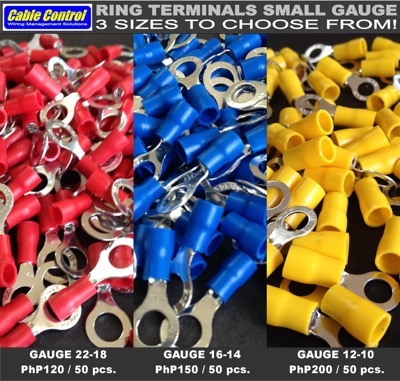 Yellow-fits 12-10awg wire : PhP200.00/ pack of 50 pcs.